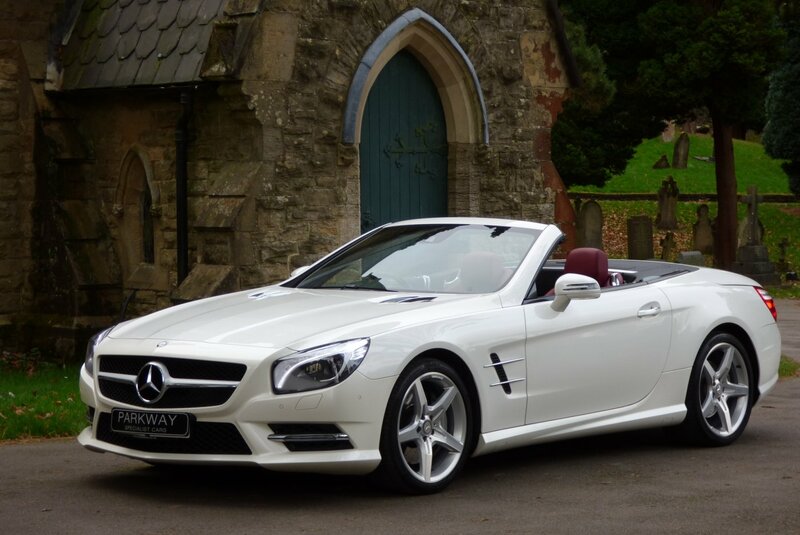 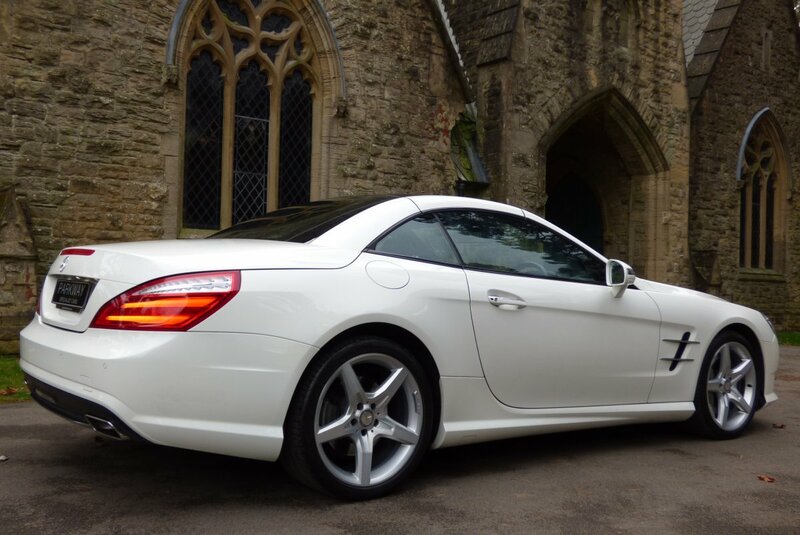 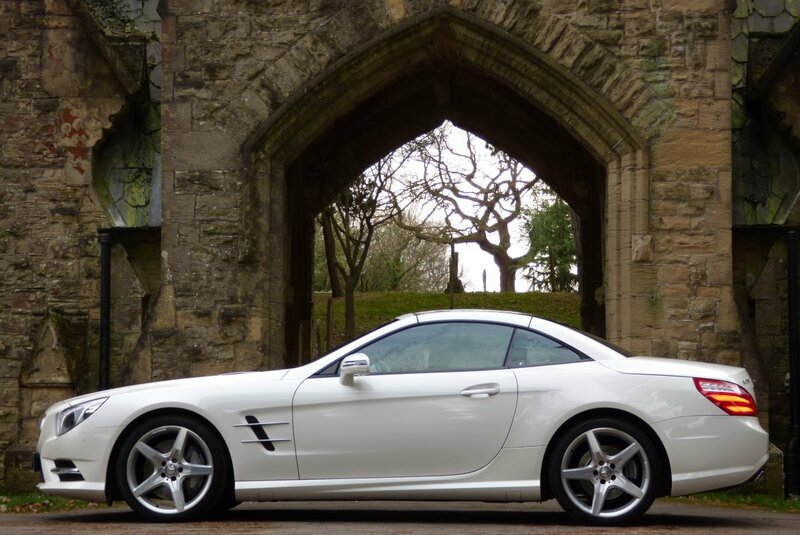 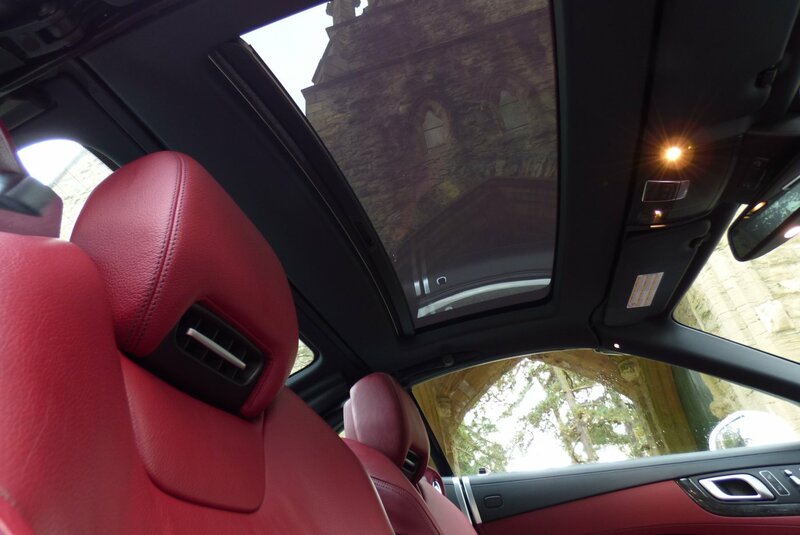 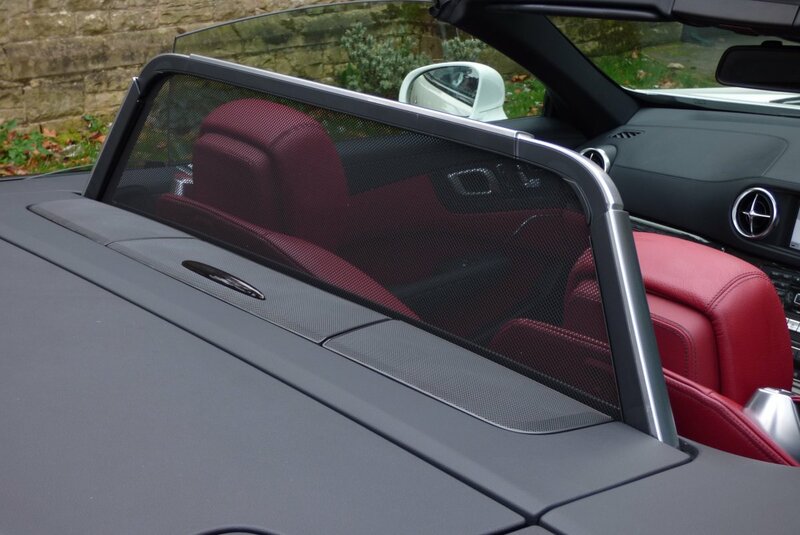 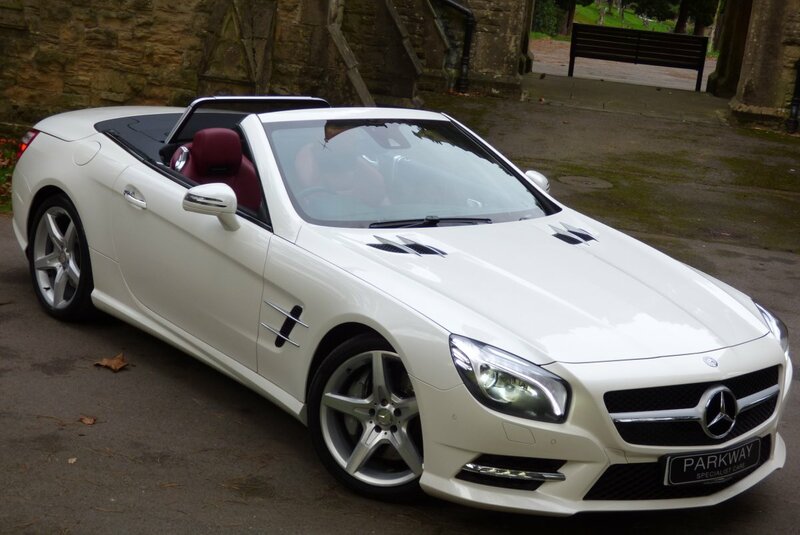 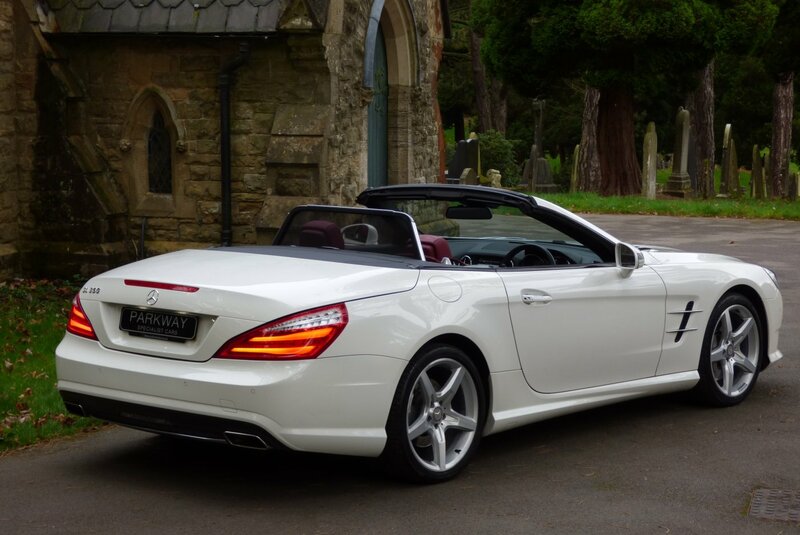 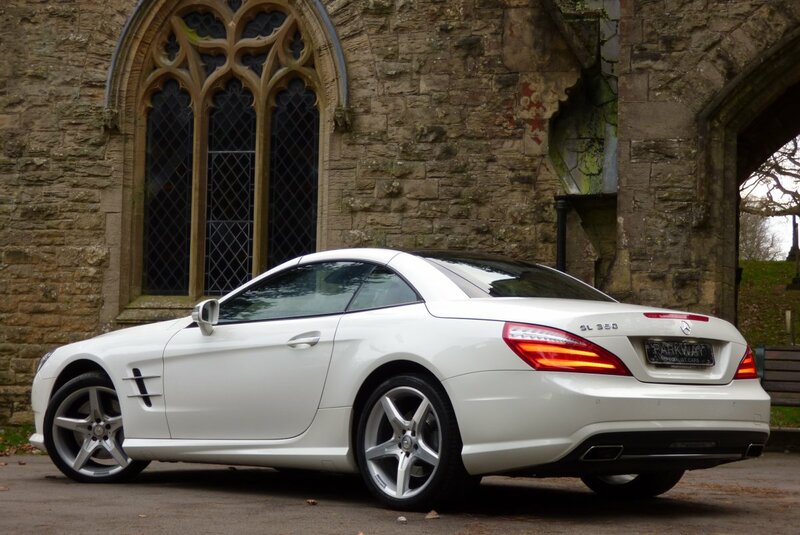 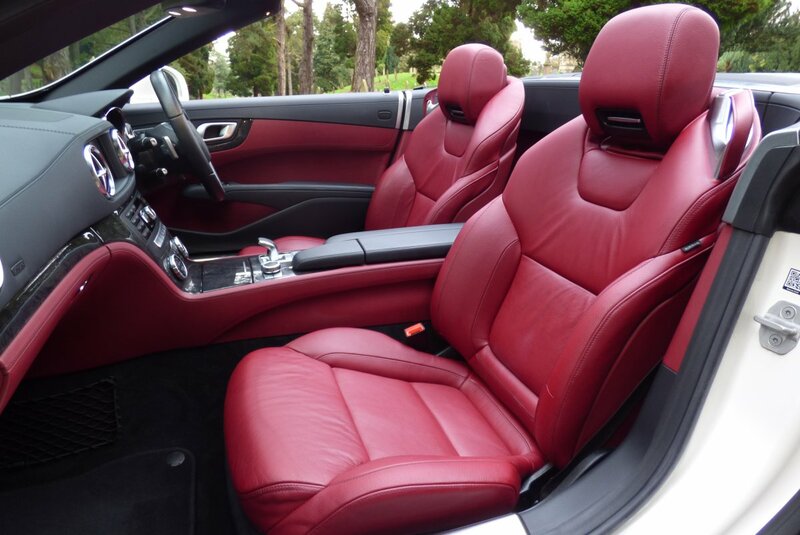 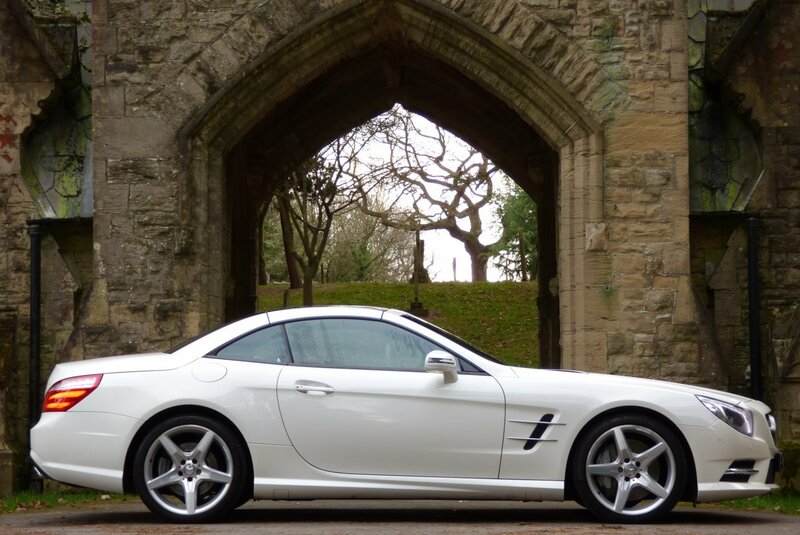 This Lovely Example Was First Supplied By Hughes Mercedes Benz In The July Of 2013 And Not only Has The Car Only Had Just The Two Private Keepers During The Last Four Years, But Also Only Minimal Miles Have Been Applied Since This Date. 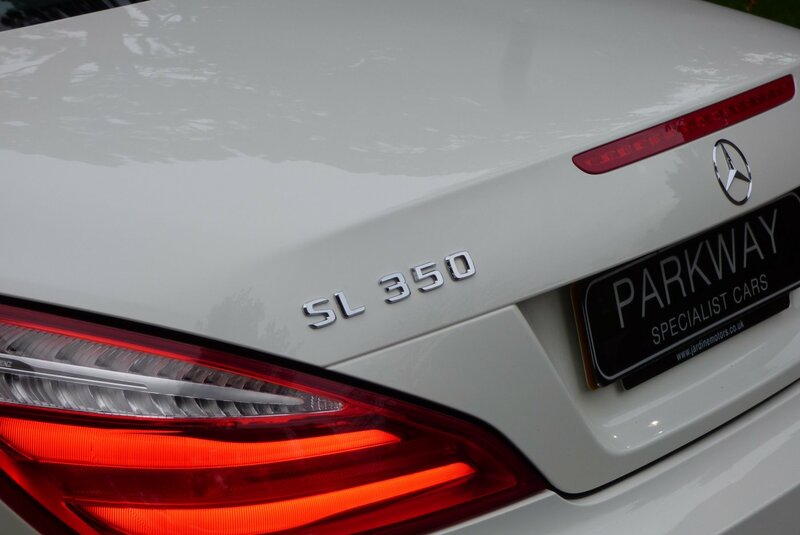 Regardless Of This Remarkable Mileage Reading This SL350 Has Been Maintained To The Highest Of Standards With Past Mercedes Benz Service Visits Logged At 10002, 15784 & 19981 Miles, With The Last Larger B Service Completed By Hughes Mercedes Benz in The July Of 2017. 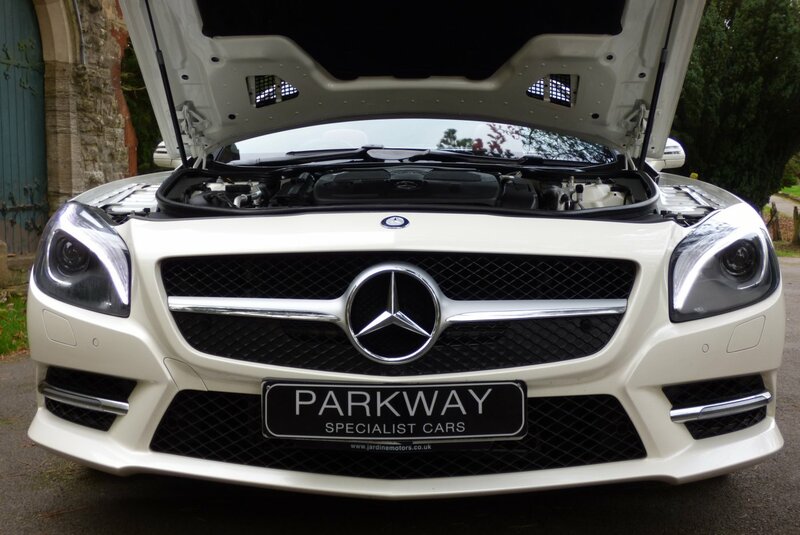 Once Sold This Special Example Will Be Presented To The Next Lucky Keeper With The Entire Booklet Pack Set, A Fully Cleared Hpi Certificate, A Full Factory Build Card And A Fully Functional Key Set, Ready For The Next Person To Keep And Cherish During Their Own Ownership. 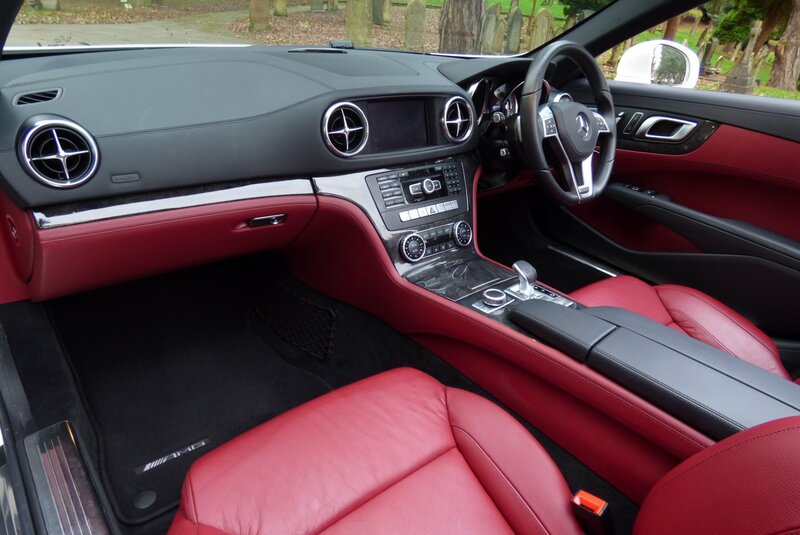 The Interior Finish Is Stereo-typically German, With Only The Use Of Of Finest Materials In A Usable, But Comfortable Cabin Space. 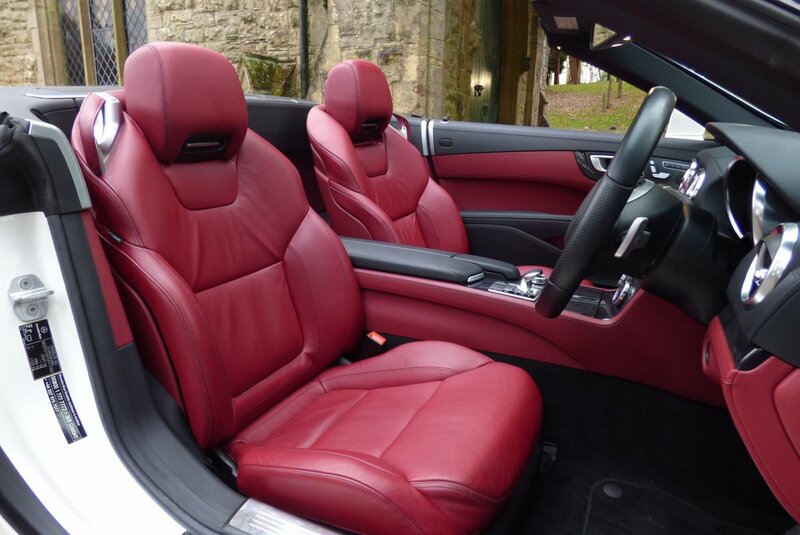 From Factory This Fine Example Was Opted With The Ox Blood Red Leather Sport Seats Beautifully Complemented With Black Twin Needle Stitch Detail, Black Carpets, Red & Black Leather Two Tone Dash That Wraps Around This Inviting Space, Black Fabric Roof Lining, Black & Red Leather Trimmed Door Cards And Decorated With Black Ash Tree Wood Inlays That Finalise This Dramatic Interior. 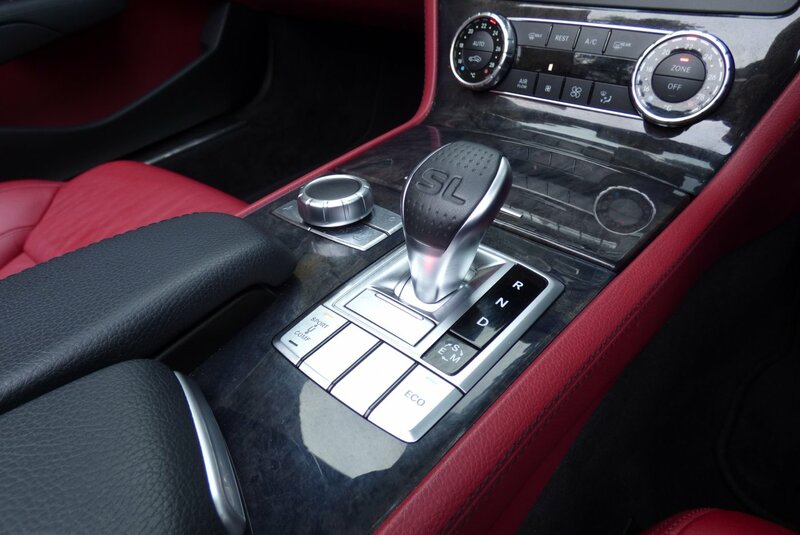 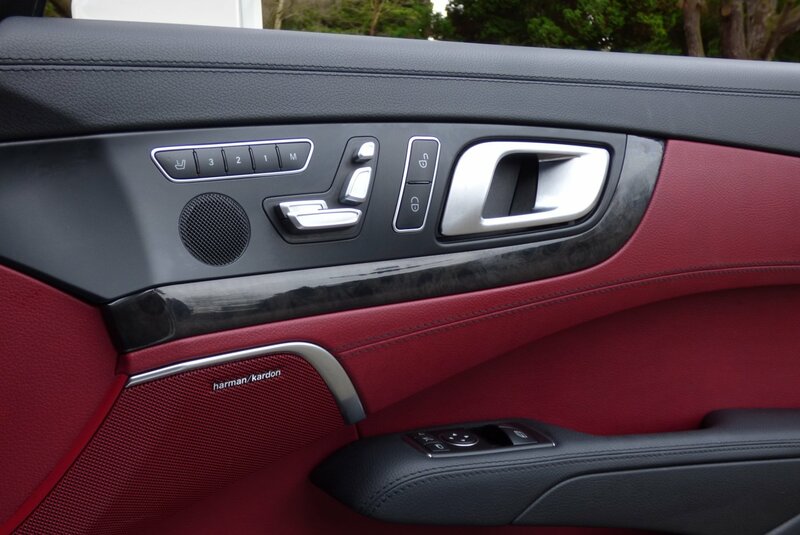 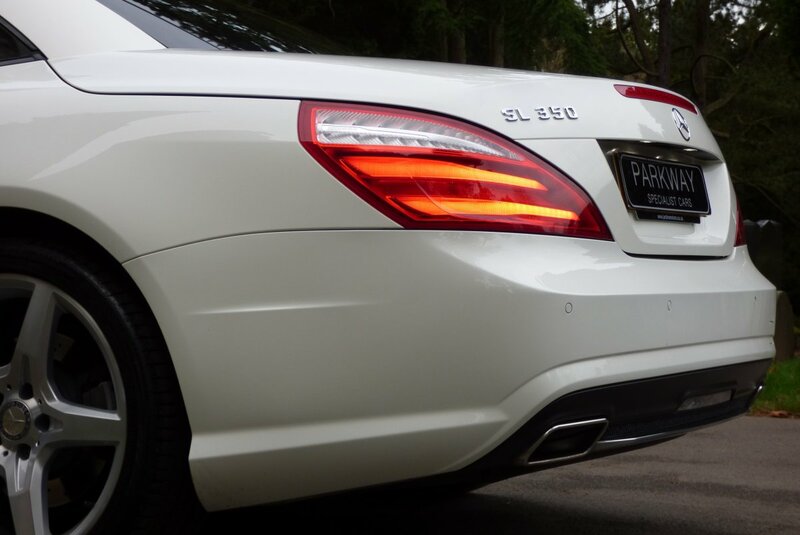 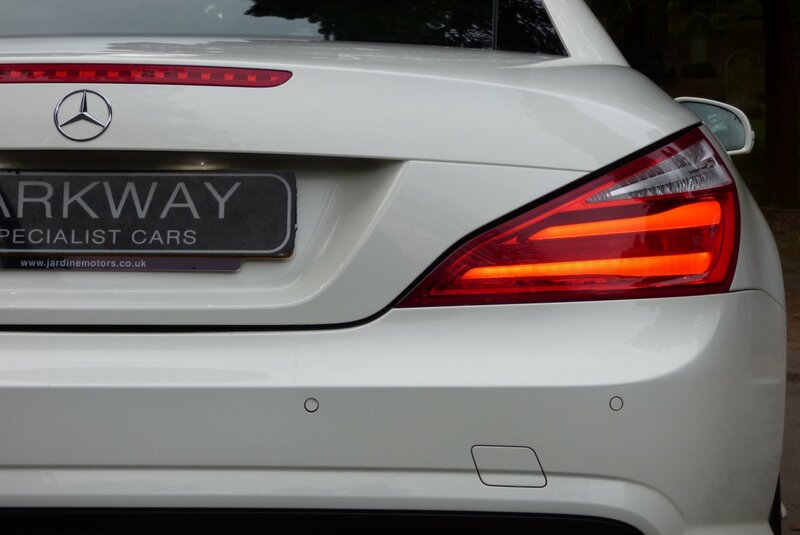 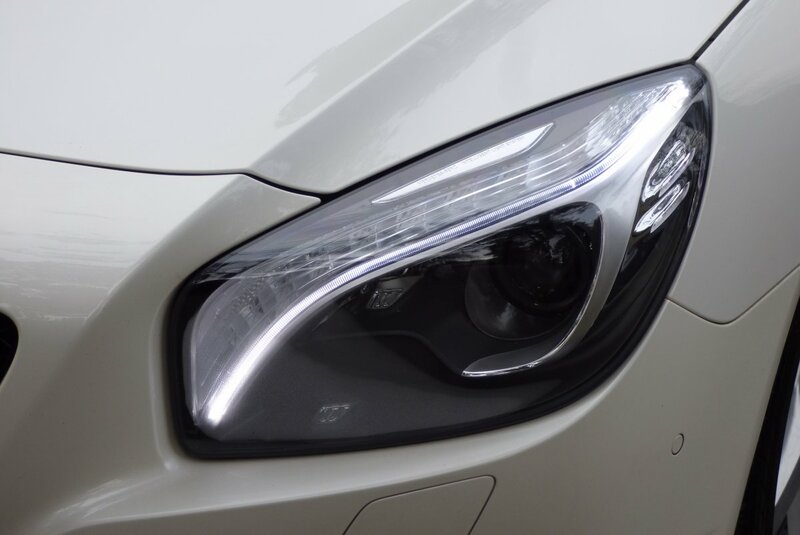 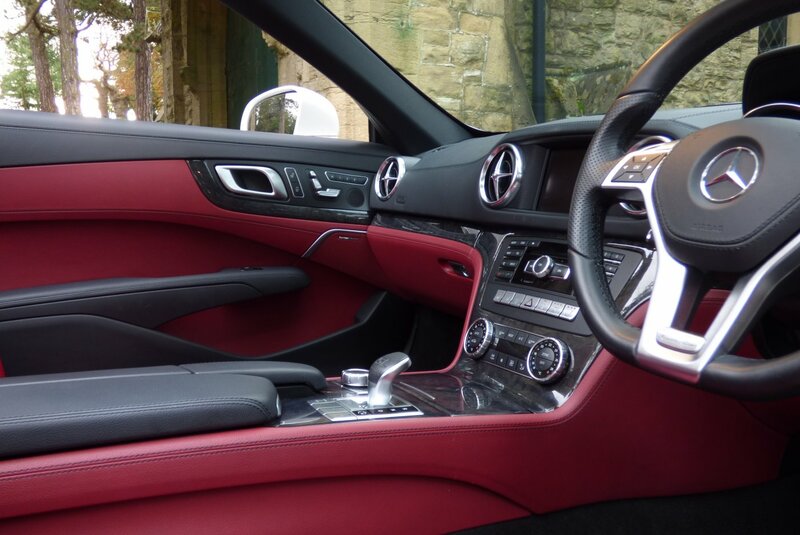 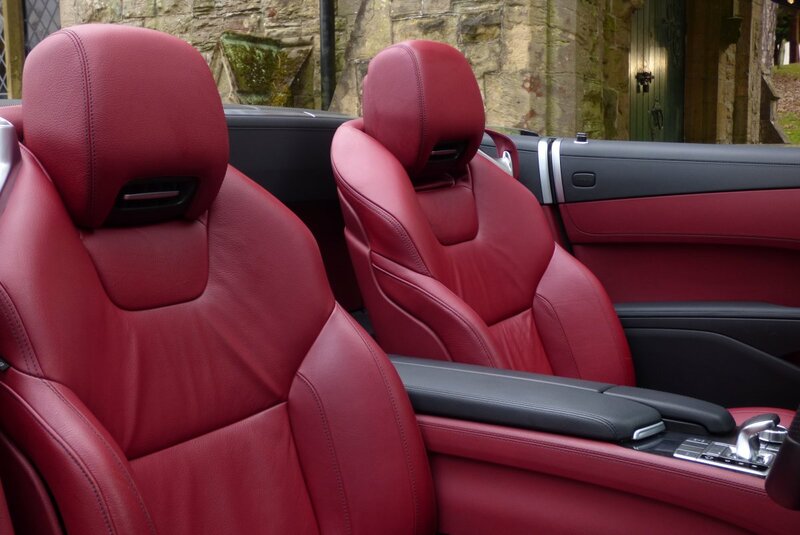 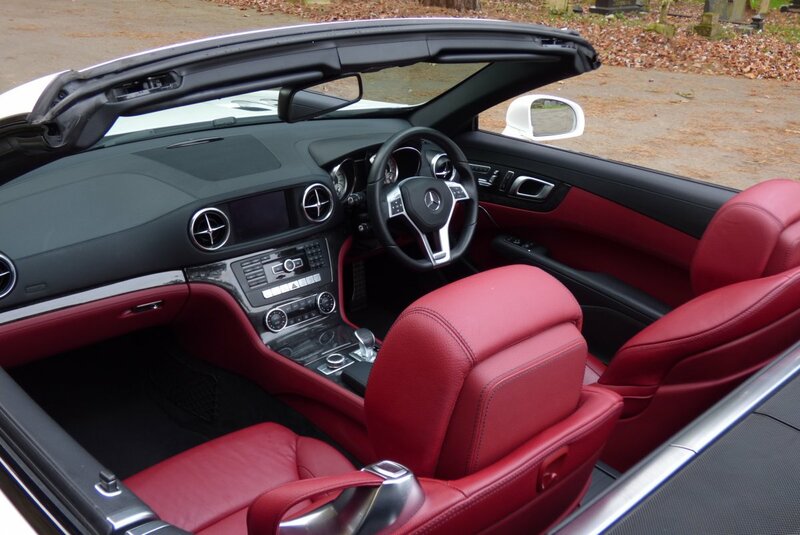 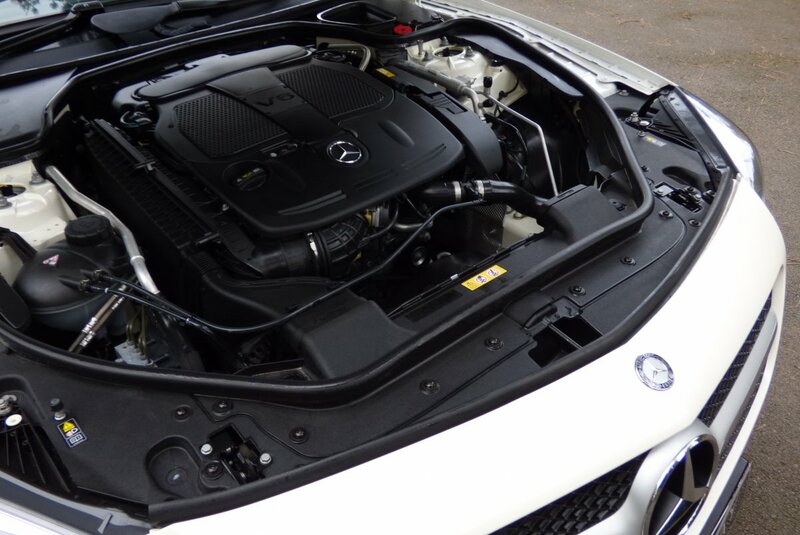 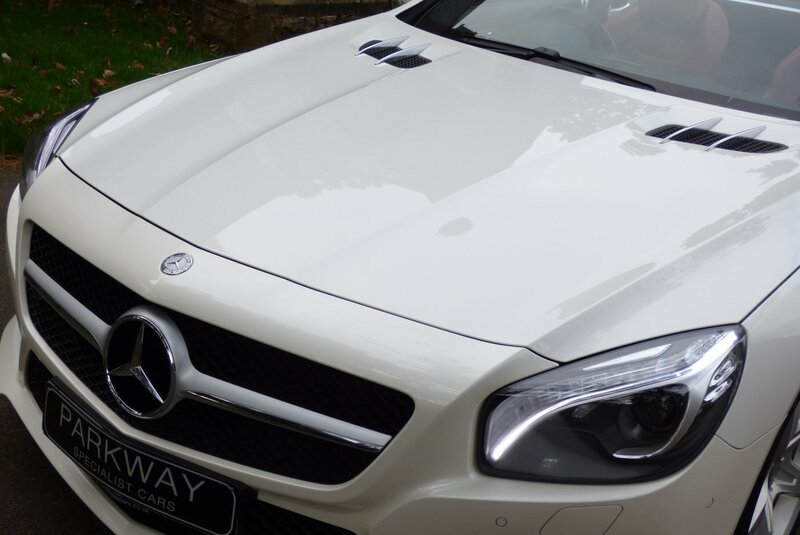 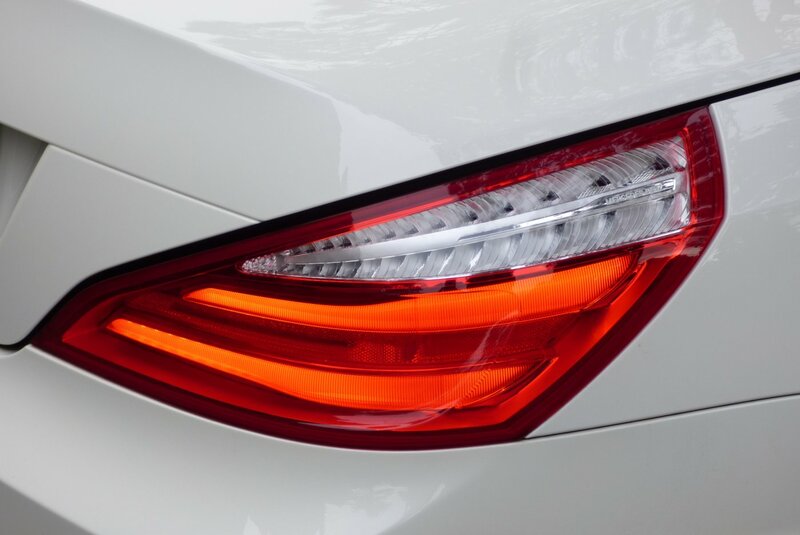 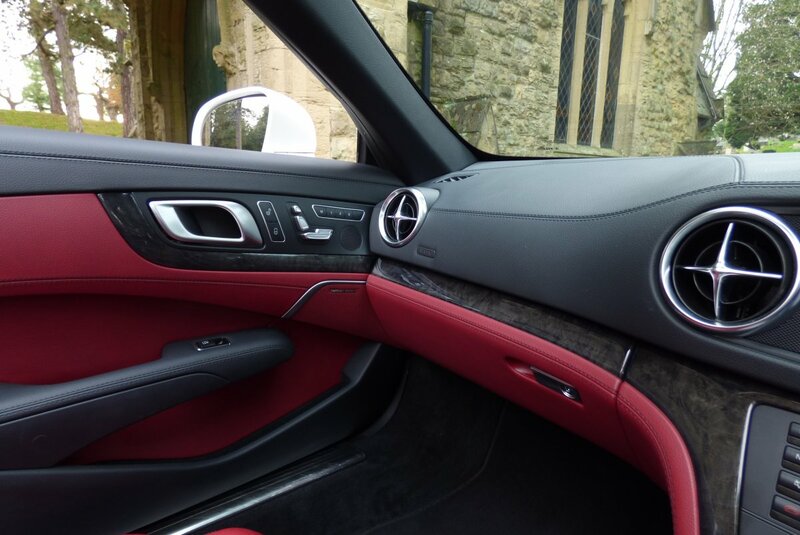 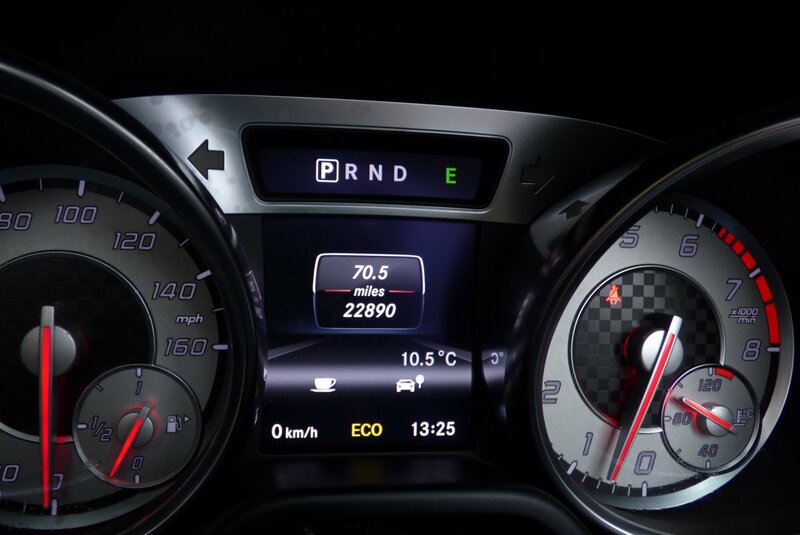 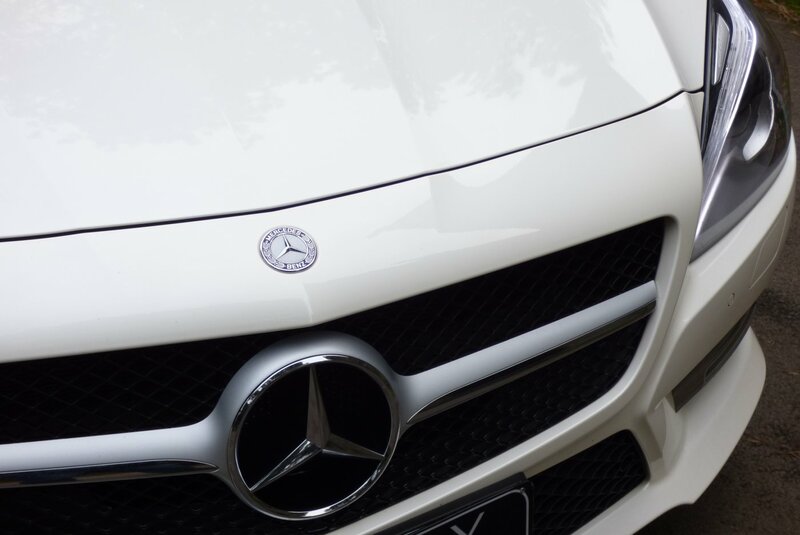 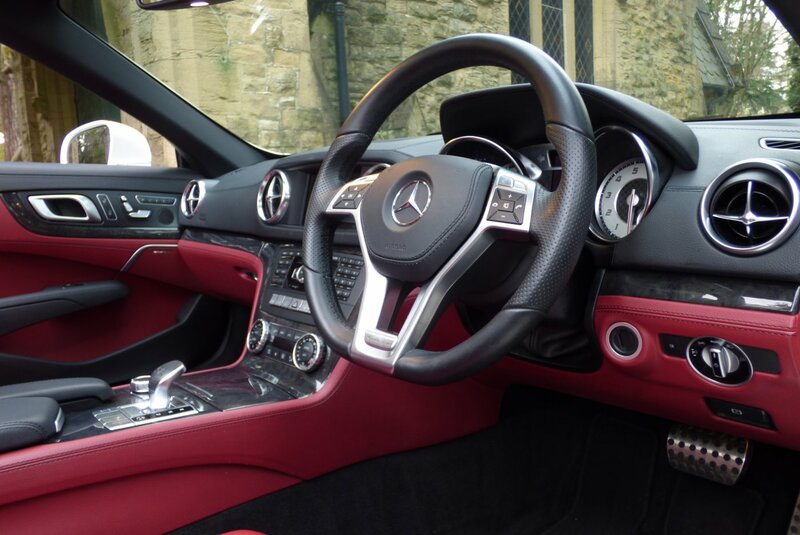 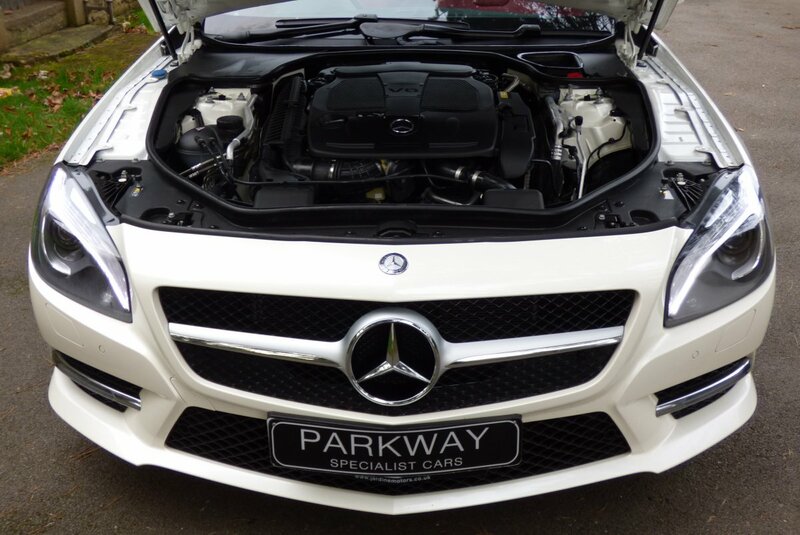 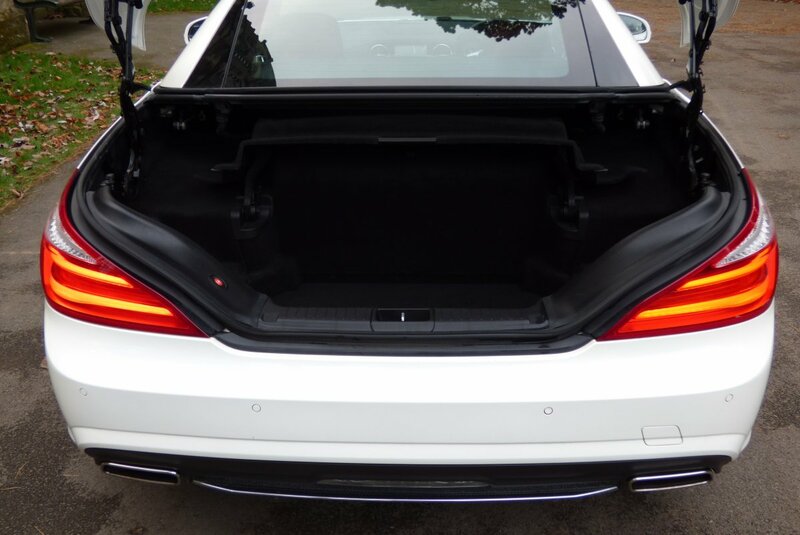 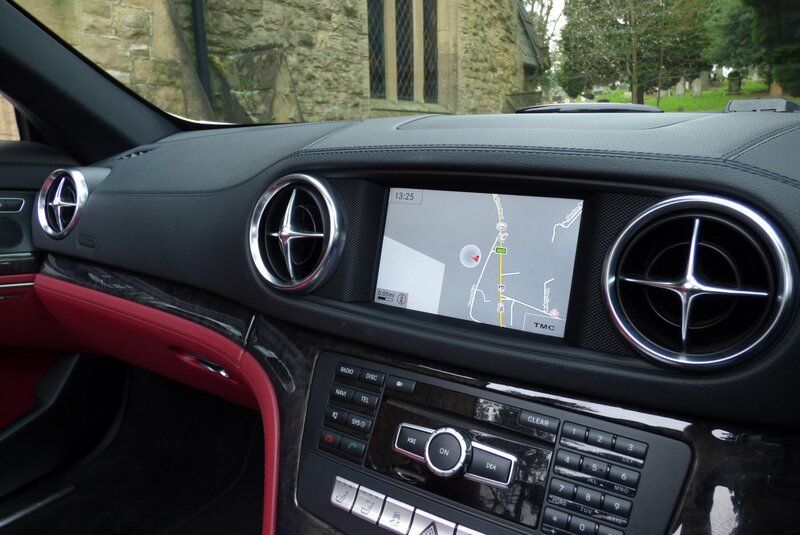 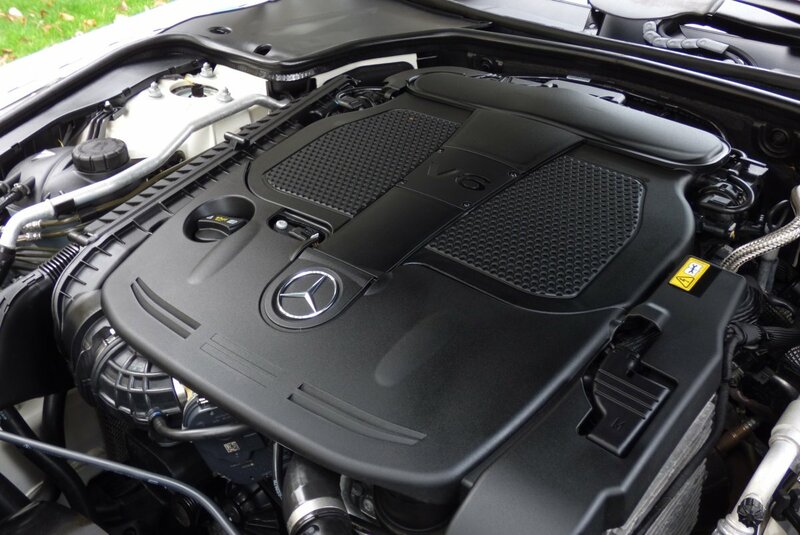 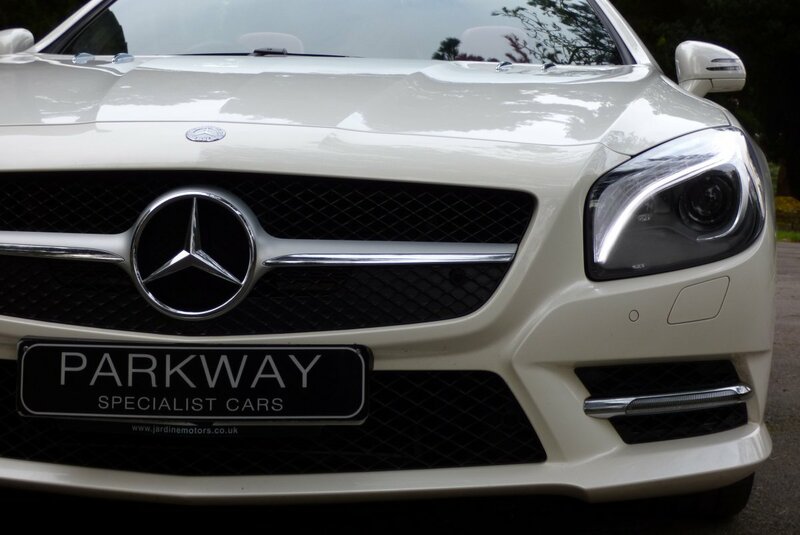 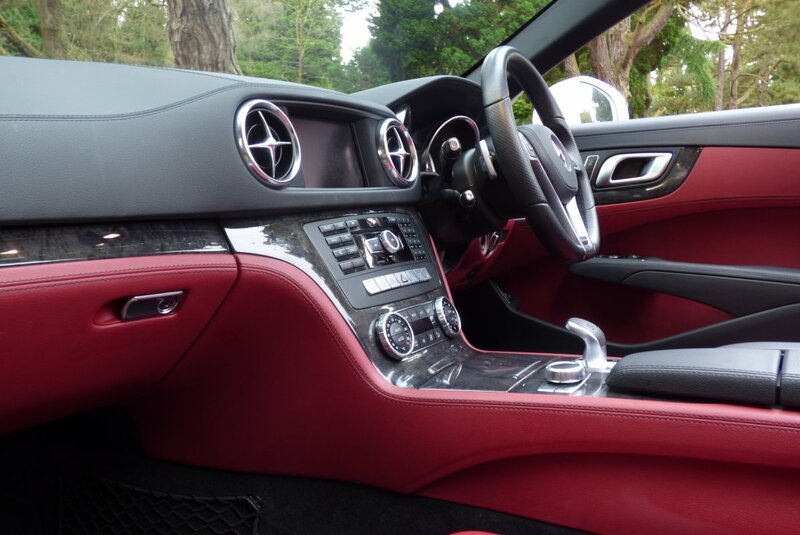 The Car Also Comes With An Excellent Array Of High End Mercedes Benz Technology, Meaning That Every Trip Is Perfectly Comfortable And Highly Enjoyable Every Time. 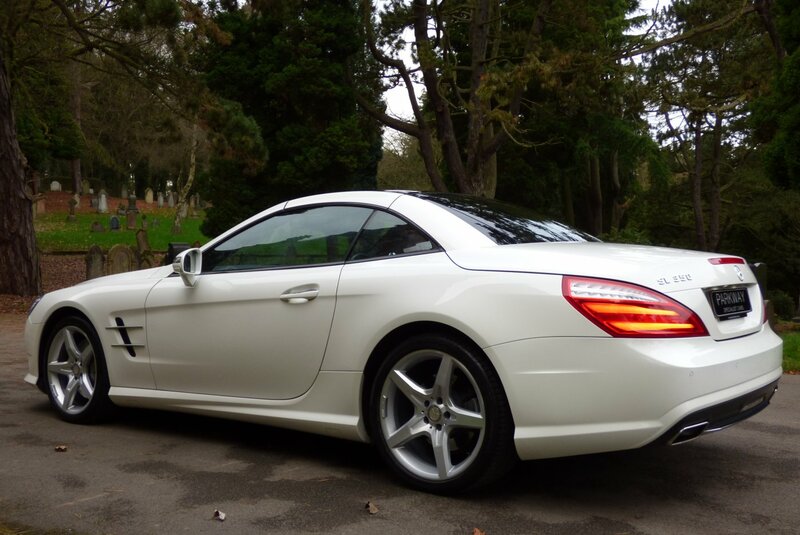 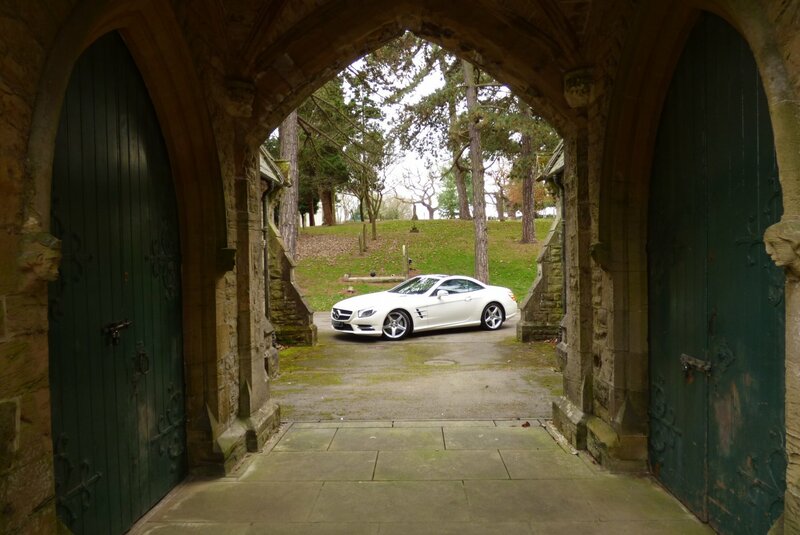 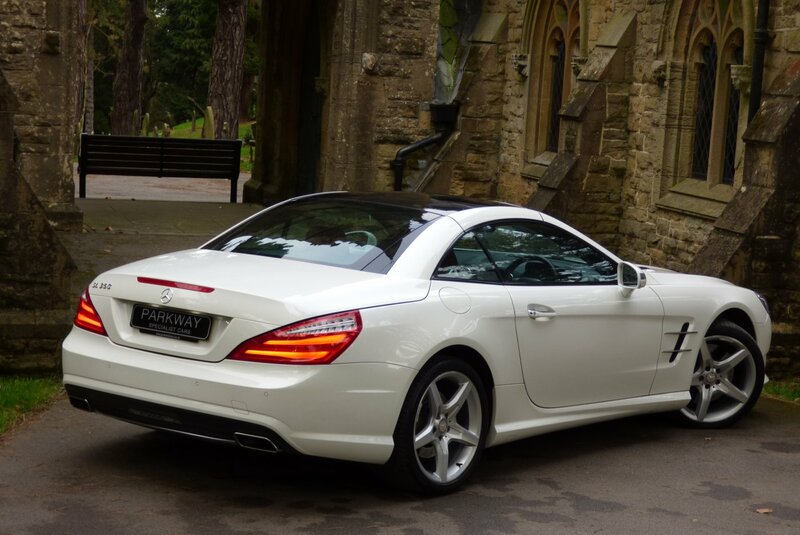 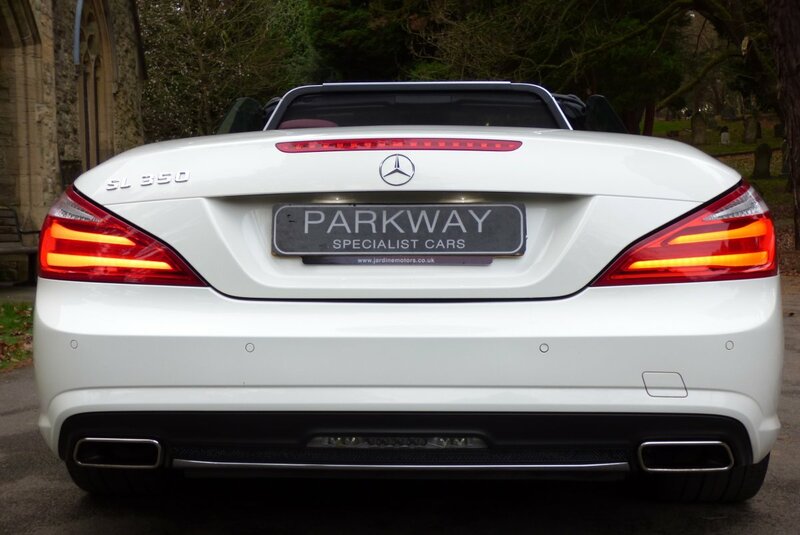 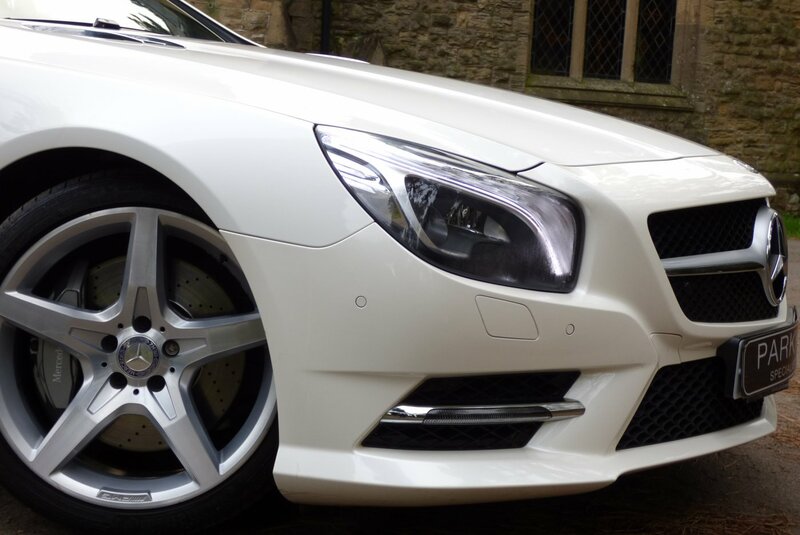 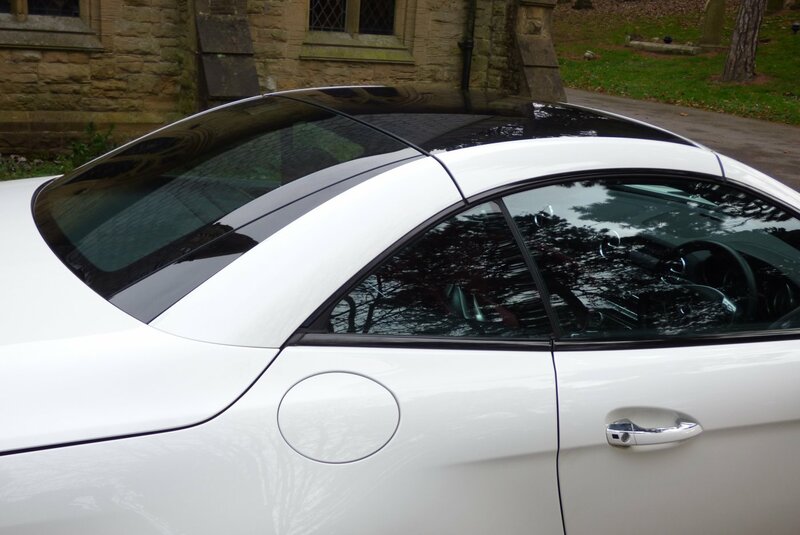 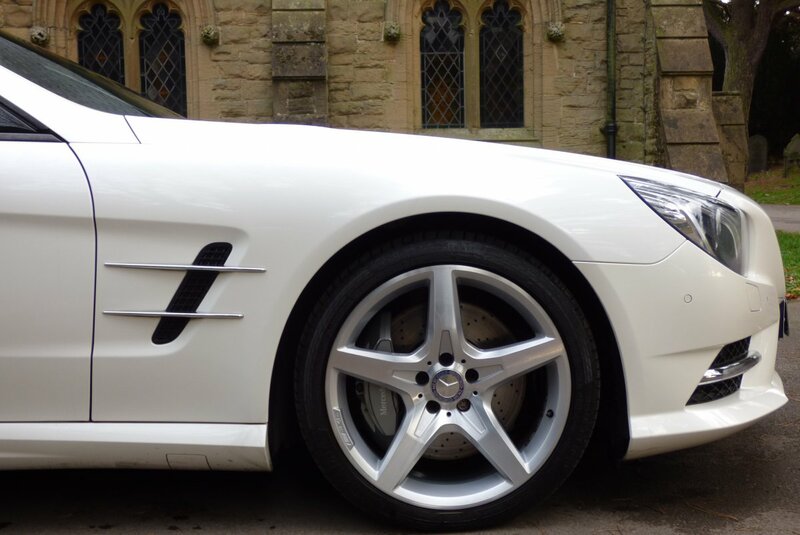 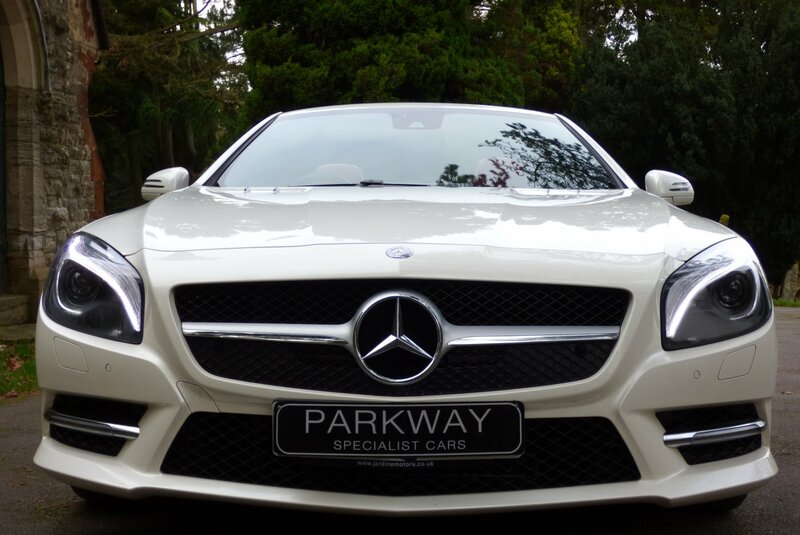 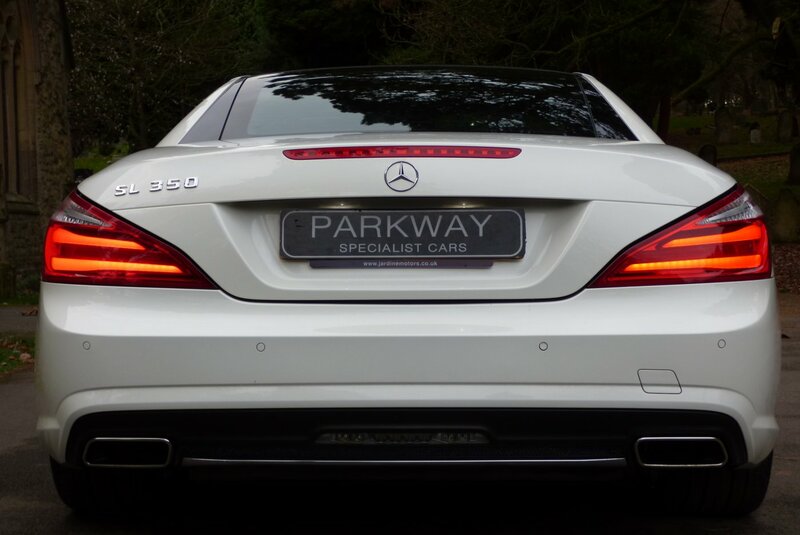 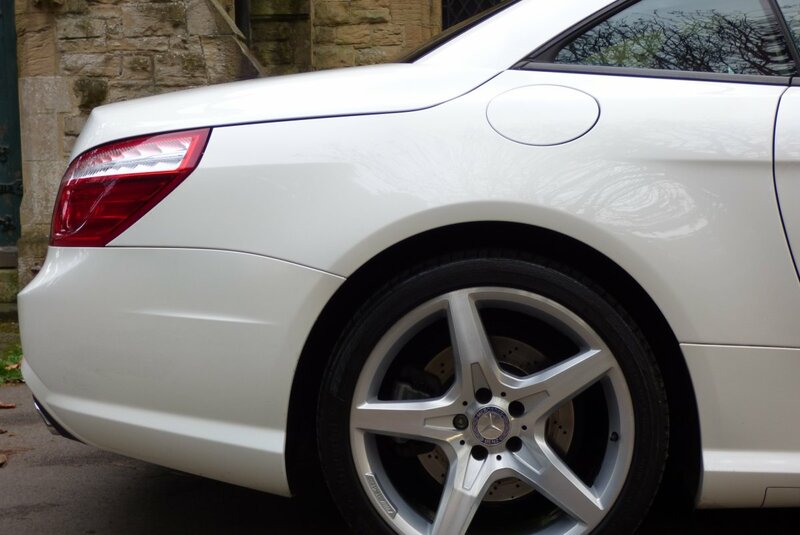 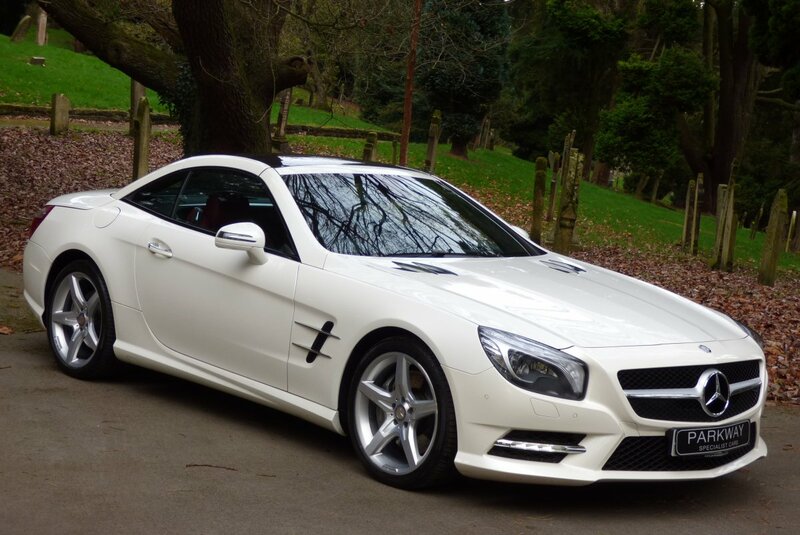 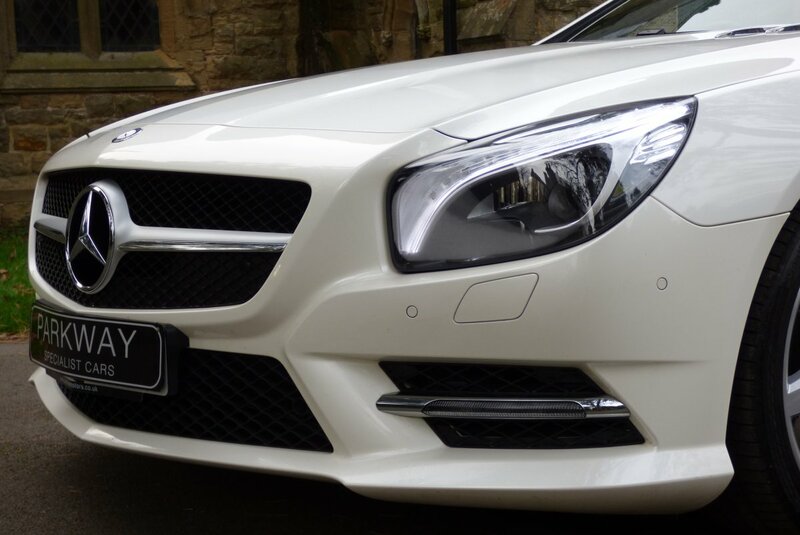 This Example Is Offered In The Diamond White Metallic, Which Perfectly Demonstrates The Aggressive Body Lines, Signature Mercedes Benz Curves And Looks Staggeringly Beautiful With Or Without The Blackened Glass Solid Folding Roof In Place. 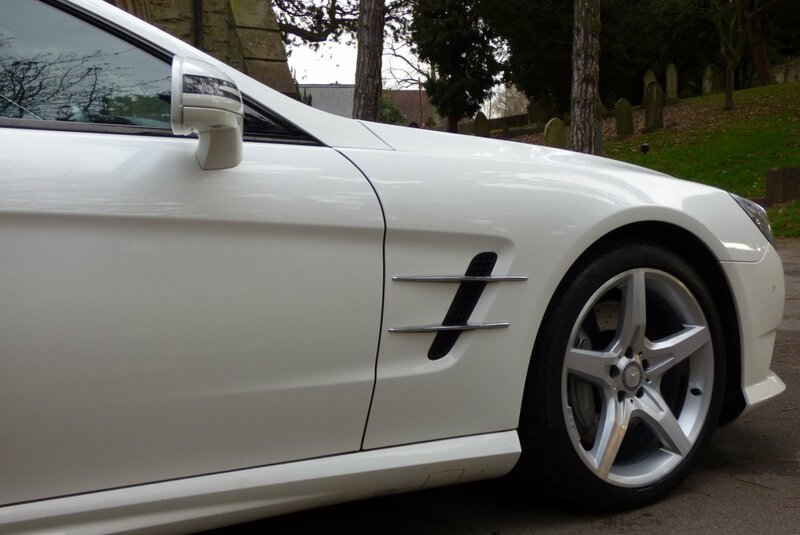 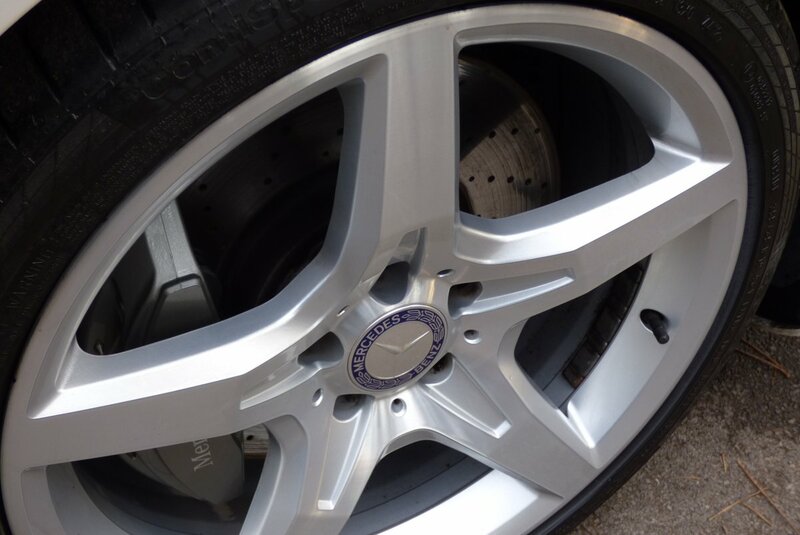 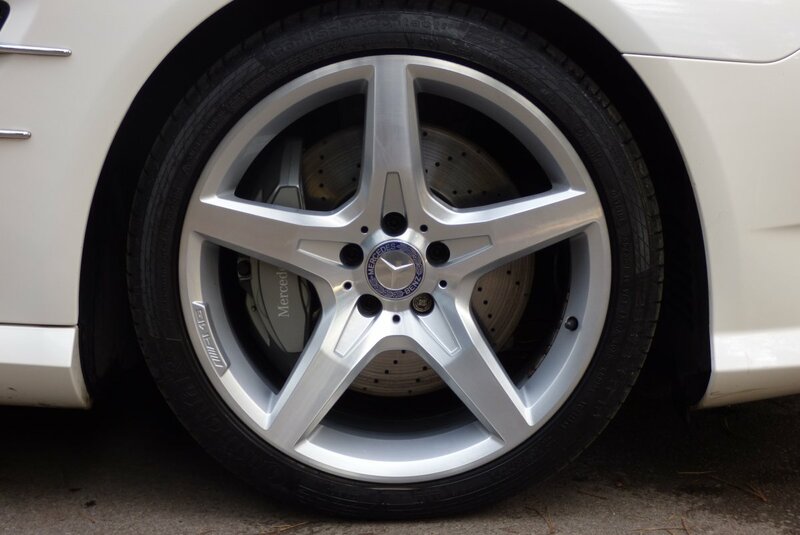 Further Detailing Is Presented With The Unmarked Silver Finish 19" Five Arm AMG Embossed Alloy Wheels Which All Sit On Branded Tyres, The Chromed Twinned Oval Exhaust Tips, The Chromed Front Wing Blades, The Blackened Hexagon Front Grille, The Exterior Chromed Embellishments And Finished With The World Famous Mercedes Benz Motifs. 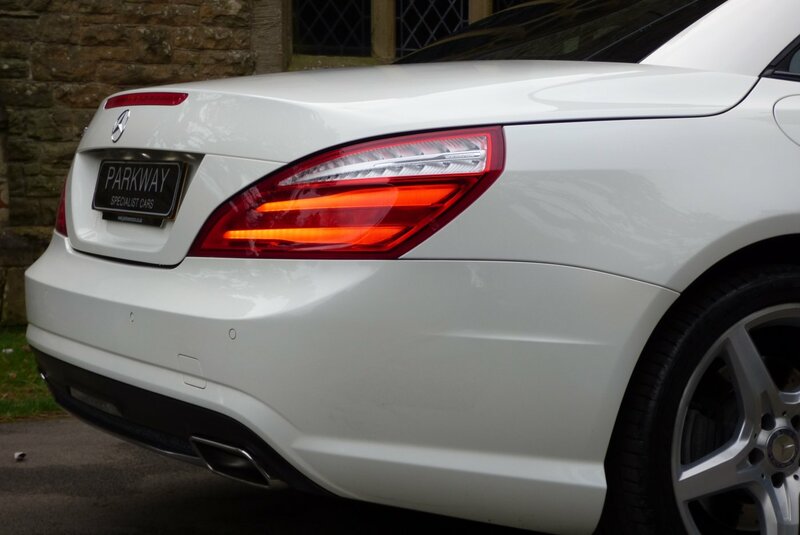 The Vehicle Looks Stunning From Every Angle And Would Be Well Suited Outside A London Town House Or Driving Along The Glorious Countryside.. 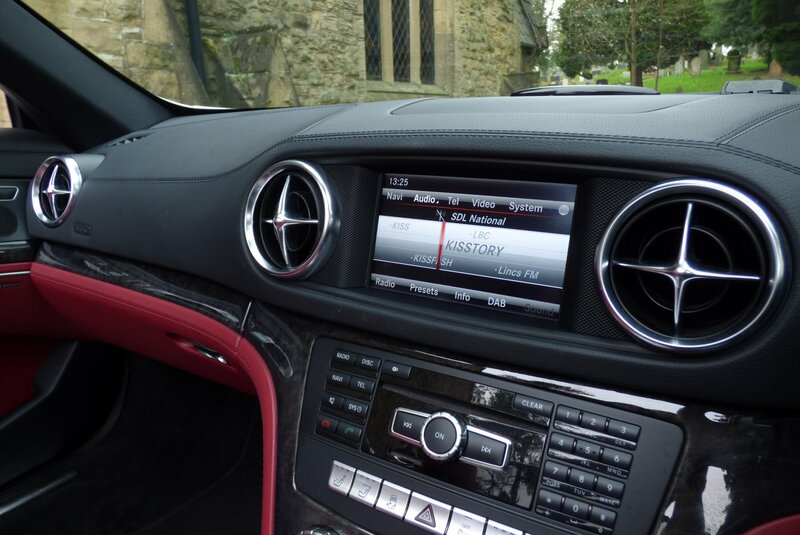 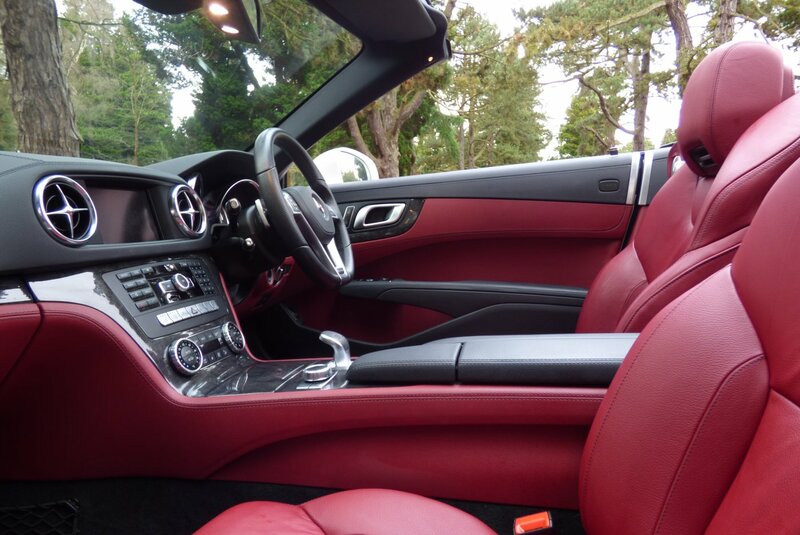 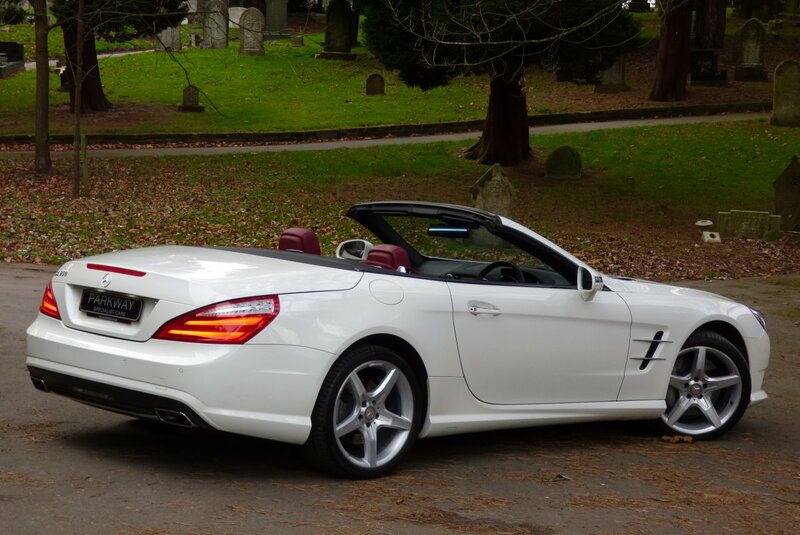 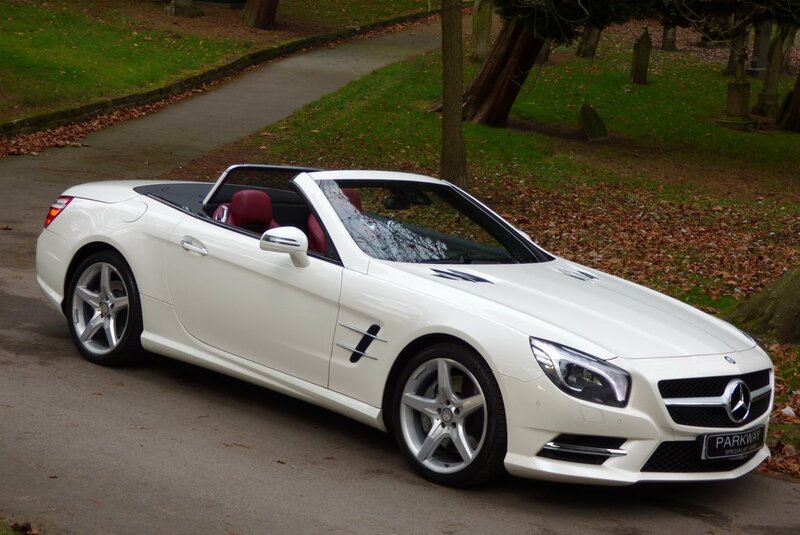 This Perfect Two Keeper Example Offers Perfect Options To Include The Full Colour Information Screen With Satellite Navigation System, Unmarked Silver Finished 19" Five Arm AMG Embossed Alloy Wheels, Sport & Comfort Functions, Variable Heated Seats, Air Scarf System, DAB Digital Radio, Electric Memory Front Seats, Harman Kardon Sound Package, Cruise Control, Electric Steering Wheel, The Three Spoke Leather Bound Multi Functional Steering Wheel With Paddle Shift, Electric Draft Blind, Mercedes Benz Steel Pedal Set, Embossed Internal Sill Kick Plates, Panoramic Glass Roof With Blind, Electric Folding Mirrors, I Pod Connection, Front & Rear Park Distance Control, Xenon Headlights With Power Wash Function, Remote Central Locking With Alarm, Dual Zone Climate Control, Daytime Running Lights, Sports Suspension, AMG Sports Package And So Much More. 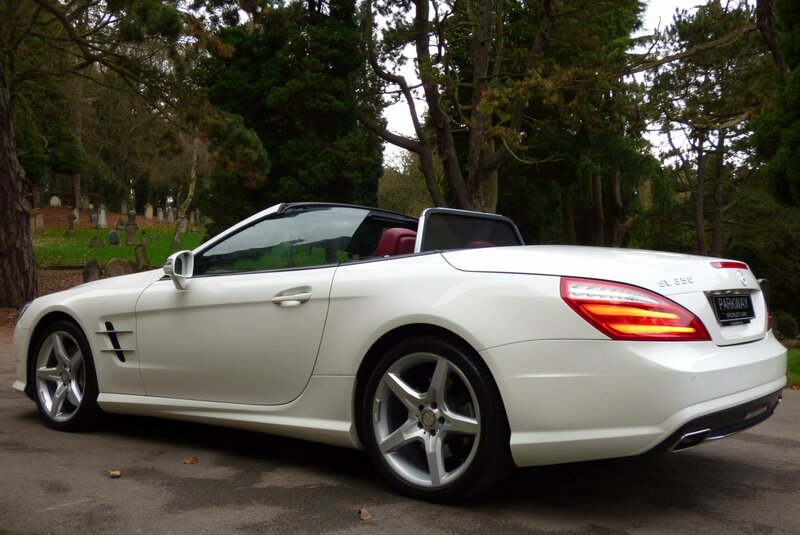 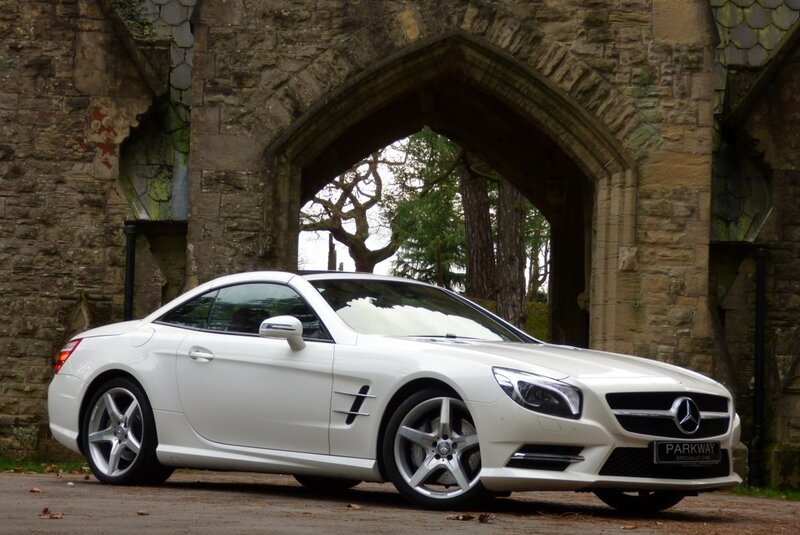 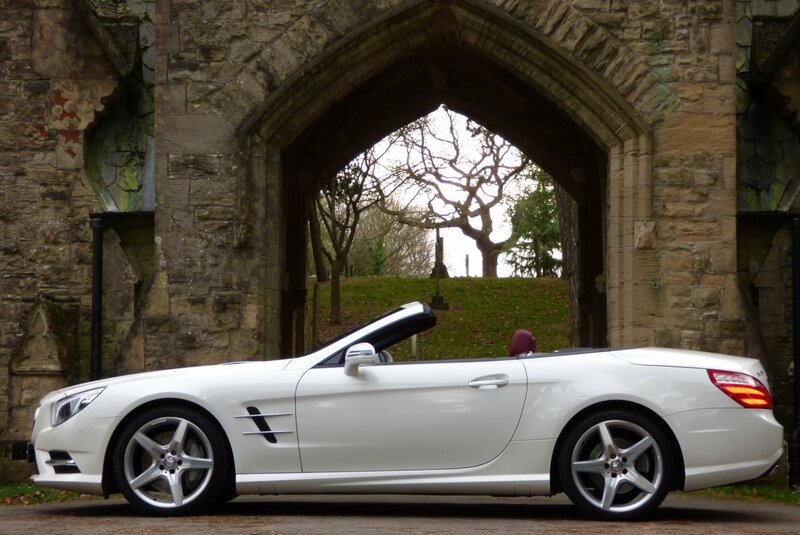 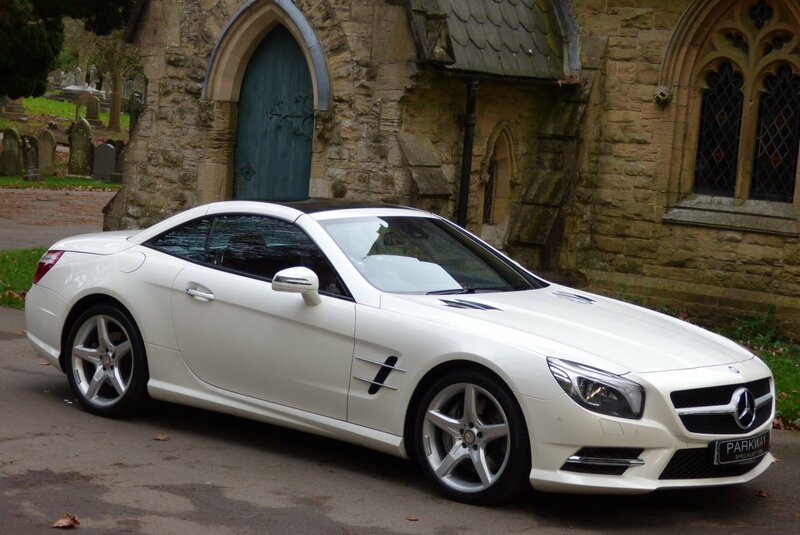 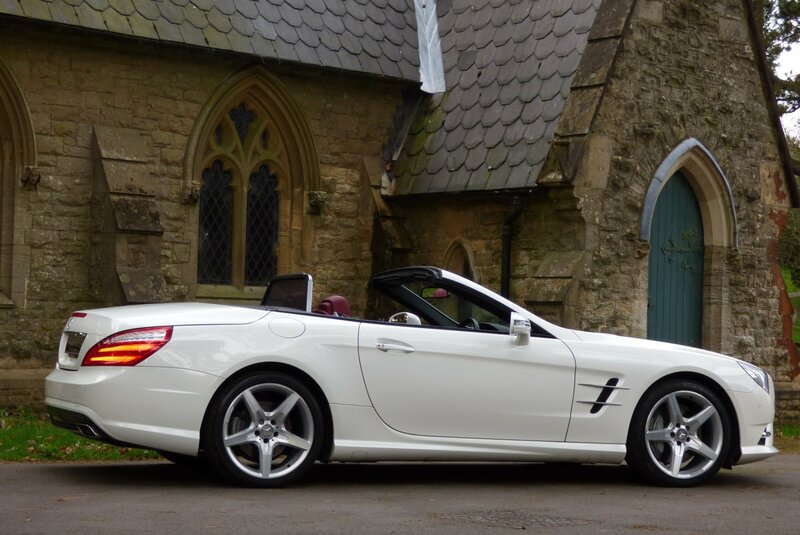 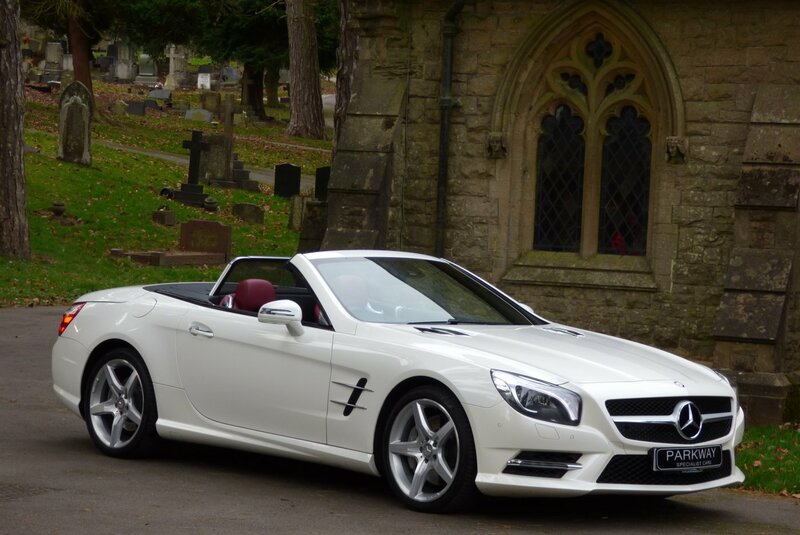 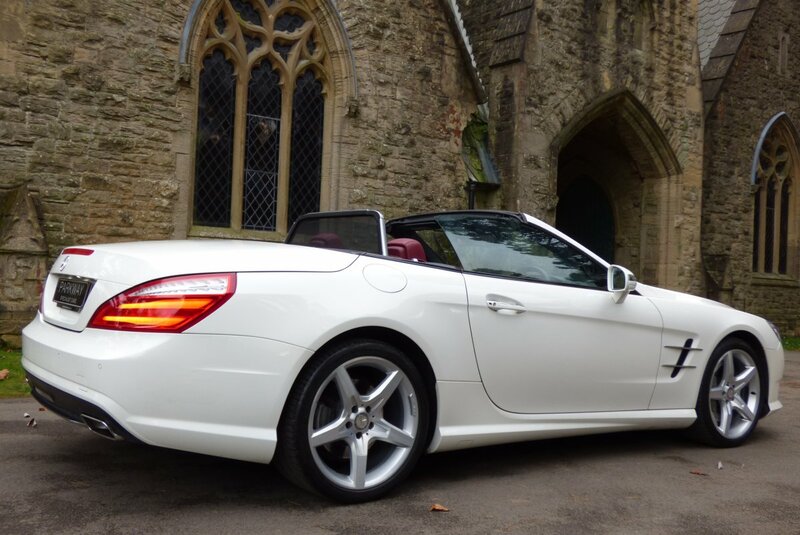 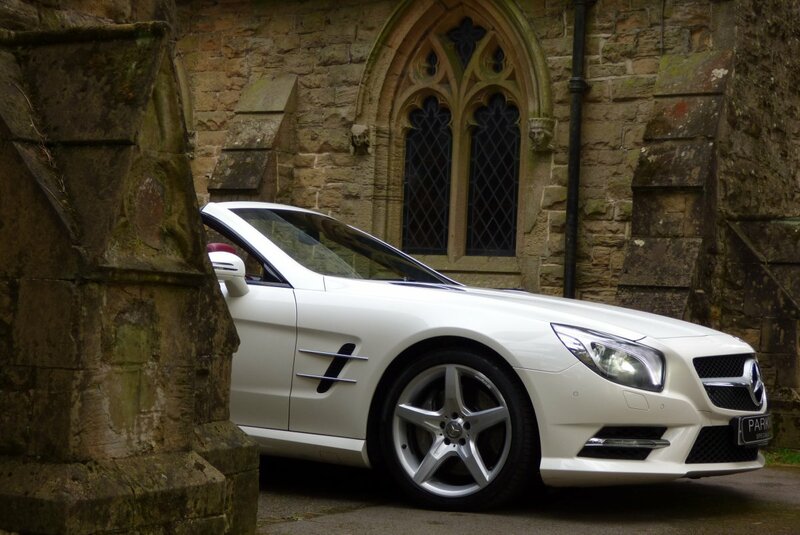 A Fabulous Example With High Options, Low Ownership And Ultra Low Mileage.